There are many opportunities to offer gifts all year round, with our different Gift Pack options which can be tailor-made or customized to suit your needs and budget. This original gift idea presented in a pack will delight your loved ones. A wonderful moment of pure relaxation in the great outdoors. Customize your Gift Pack by adding extra options according to your preferences and budget. All of the treatments on offer are available at Cas’Akéa. Simply choose from the list below. 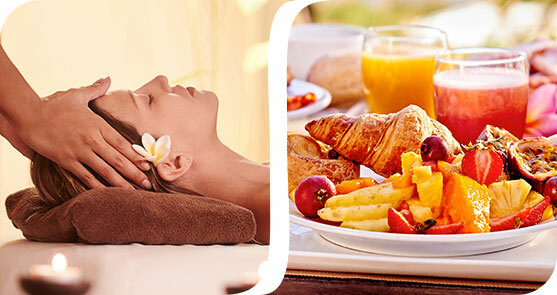 * Gift box or E-voucher gift for stay is valid 1 year from the date of purchase, excluding high season period (07/10/18 to 08/12/18, from 22/12/18 to 05/01/19, from 05/10/19 to 31/10/19) and subject of availability. Treat your loved ones with a wellness pack, offering them a moment of bliss in the refined and scented world of Cas’Akéa. The Akéa treatment: a relaxing full body treatment (50 mins), inspired by Asian massage techniques; soft but deep and adapted to your needs. You can choose the oil with the fragrance you prefer, or our ‘Secret Spa’ massage oil, sure to charm your senses. A ritual with warm scented towels. Discover the energy of semi-precious stones from Madagascar and polished marble pebbles from Bali. The warm softness of the oils and the freshness of the stones will stimulate your energy centres as the stones glide across your body for a sensation of endless relaxation. A ritual with warm scented towels. 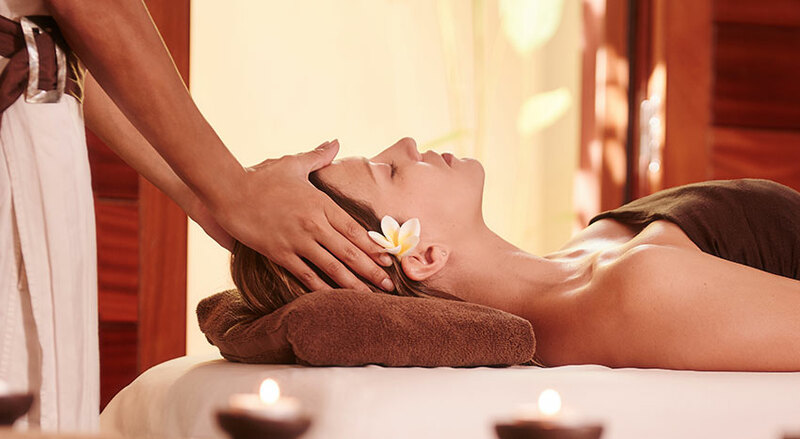 Exclusively on the face and the head, this relaxing wellness treatment is a real gem, relieving you of all tension and stress, and sweeping you away on a truly sensual journey. This customized relaxation treatment is recommended either before or after exercise to help unwind and relax your muscles, followed by a bath of regenerating coconut milk. A ritual with warm scented towels. Full body massage and flower bath. A ritual with warm scented towels. 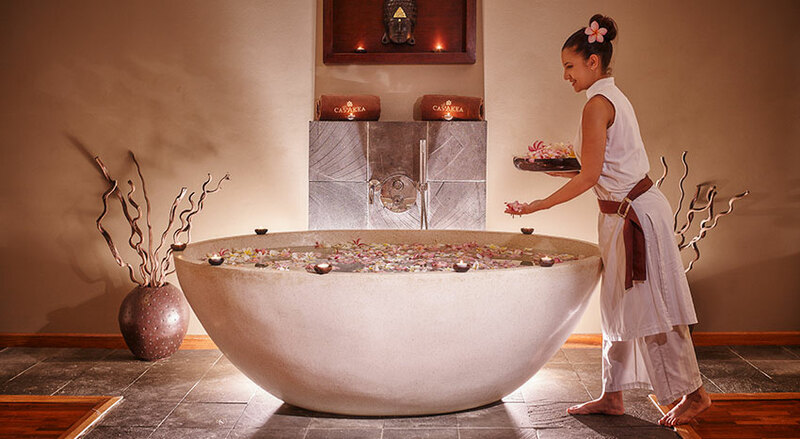 Either a mineral massage with semi-precious stones or the Akéa Treatment according to your preference, with a fresh fruit cocktail or glass of champagne to share in a bath of flowers, and a ritual with warm scented towels. An Akéa gift for newlyweds. A full facial for a bright and radiant complexion. 50 minutes of personalized treatment according to your skin type, with precious nourishing and hydrating active ingredients to make your skin sublime. The must of organic face care: personalized treatment according to your skin type, with massage and pampering. 1hr20 of happiness to cultivate your inner garden of beauty. A manicure combined with a relaxing massage: Lulur scrub, moisturizing and relaxing massage, and a manicure with classic or semi-permanent nail varnish, depending on your choice. A complete foot beauty treatment, with many extras: foot bath, Lulur scrub, relaxing massage, pedicure with classic or semi-permanent nail polish, depending on your choice. > 1 Wellness treatment at Casakéa – “Akéa treatment” – 50 min. To be chosen chosen from the category of treatments under 50 minutes. Non-transferable and valid for 1 year. To be chosen from the category of treatments under 50 minutes. * Gift box or E-voucher gift for wellness treatment is valid for 3 months from date of purchase. Can be neither exchanged nor modified. Subject to availability. Would you like to order a special Gift pack? Please don’t hesitate to share your preferences so that we can create your own tailor-made Gift pack.